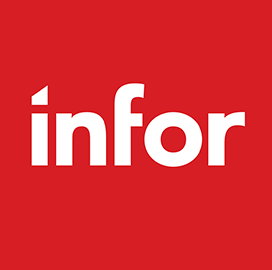 Cloud software firm Infor has opened a new office in West Virginia to provide services for federal, state and local agencies and engage in partnerships supporting the government. The company said Thursday it expects to hire 100 workers in Charleston, Va., for public sector efforts in the areas of software engineering, cloud operations and consulting. Infor's CloudSuite Public Sector platform is designed to help government agencies streamline business processes via the cloud. More than 1.5K public sector entities at all levels employ the platform. The firm plans to team up with various West Virginia-based universities to develop talent in the company's areas of specialization under the Education Alliance Program, which grants free computing software for participants. "I thank Senators Joe Manchin and Shelly Moore Capito and many others who assisted Infor in establishing Charleston as a major cloud operations center," said Charles Phillips, Infor CEO.